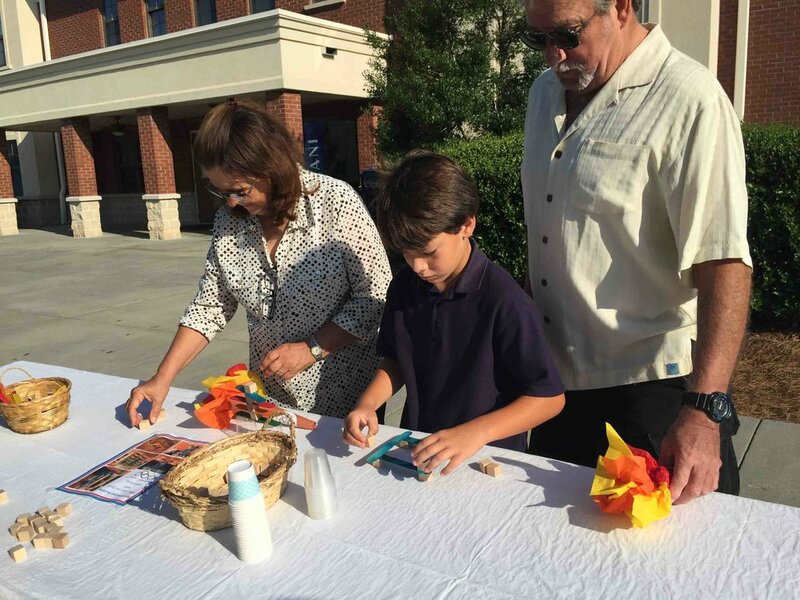 Friday, September 16, LCA celebrated our Lower School Grandparents by hosting 275+ for Grandparents Day. The morning kicked off with students and grandparents gathered in the gym for the opening ceremony. Upper School Principal, Mark Davis, shared about the Biblical perspective of one of the values that is being taught in Lower School, love. The students ended this portion of the morning with a reader’s theater of I Corinthians 13 1-8a. “If I speak in the tongues of men or of angels, but do not have love, I am only a resounding gong or a clanging cymbal. 2 If I have the gift of prophecy and can fathom all mysteries and all knowledge, and if I have a faith that can move mountains, but do not have love, I am nothing. 3 If I give all I possess to the poor and give over my body to hardship that I may boast, but do not have love, I gain nothing. Once dismissed, students and grandparents were free to participate in the Olympic themed athletic and academic events that were available outside. Events such as the balance beam and synchronized stacking allowed the students to show their grandparents some of the principals they are learning in the STEM education program. Athletic themed events such as the dodgeball toss and the javelin throw allowed for friendly competition between student and grandparent. Photo stations were available as a means to capture a snapshot to remember the day. It was a great day at LCA!